playbox is a smart storage box created for the design aware parent or indeed anyone in need of a stylish storage solution. These boxes are made from birch ply, finished with natural paints. 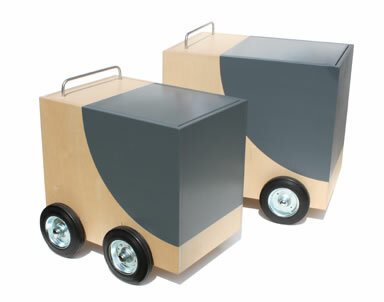 Styled to look like micro vehicles, these boxes feature large diameter wheels for extra mobility and a brushed stainless steel spoiler-handle to easily lift off lids.